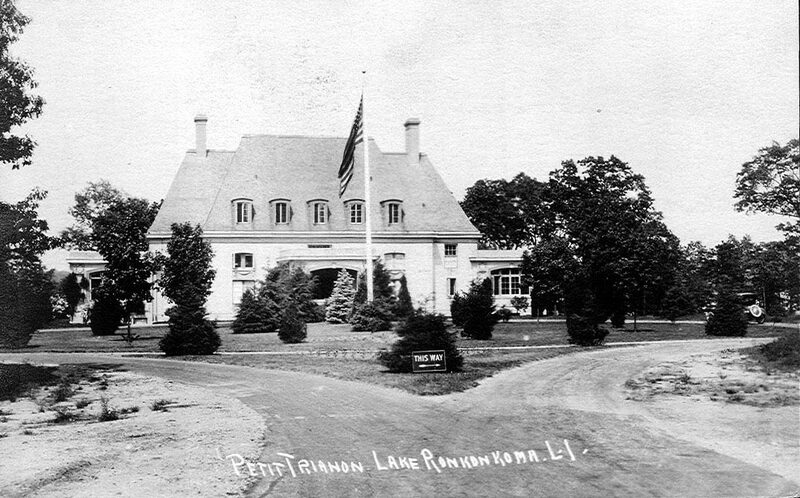 Bob DeStefani and his family lived at the Eastern Terminus of the Motor Parkway in Lake Ronkonkoma. In this VanderbiltCupRaces.com series, Bob provides an "insider's look" into the Petit Trianon and Motor Parkway adventures with his friends. Part III provides his memories about the inside of the building. The layout of Petit Trianon. In the foreground of this photo is the south wing Café room.The basement kitchen was supplied through a delivery entrance located on the south side of the building under the Cafe. 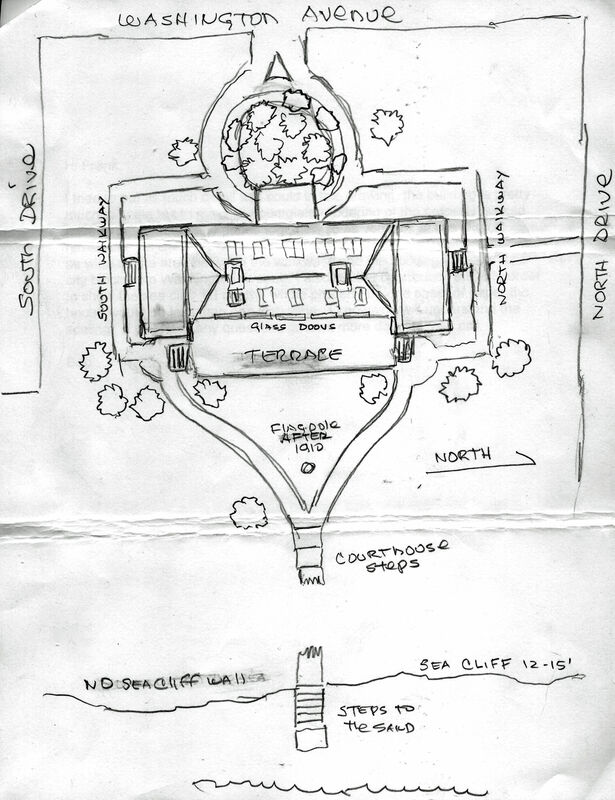 The delivery trucks would enter the circular driveway and turn off onto a spur which ended at the basement kitchen door. The attic was acessible from the second floor, a utility/store room each end of the west hallway in which the great brick chimneys went through had access to the peaked section of attic that was over the main dinning room, and only via a twenty foot ladder opposite the chimney to a narrow wooden railed cat walk, between the north store room and at the south side of the building the same situation existed, they were connected by this catwalk across the main dinning room ceiling. We would tip-toe across the wooden plank many times, just because it was there. 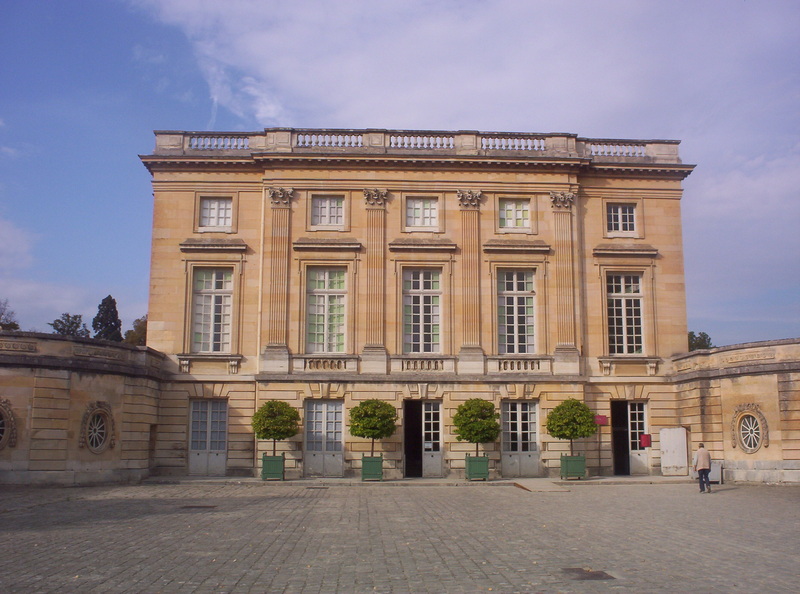 The Petit Trianon in Versailles, France, which this building was said to be designed after, the structure was not the same. To my knowledge, the only similarities when viewed from the outside were the five great glass doors, a raised terrace to the dinning room, a more than basic comparison of the floor plan and both were constructed of stone. 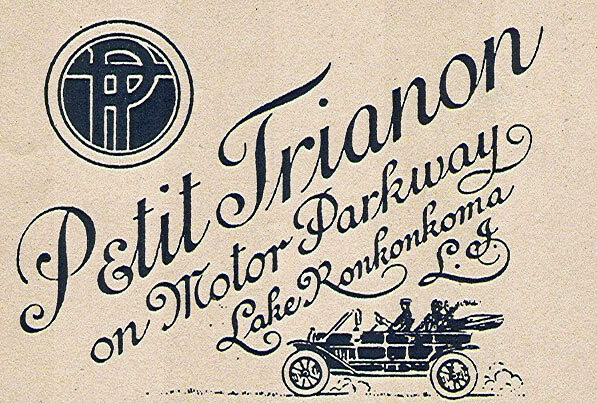 There were more than one Petit Trianon built in France, Lake Ronkonkoma's Petit Trianon one was, at the very least, named after the one in Versailles. 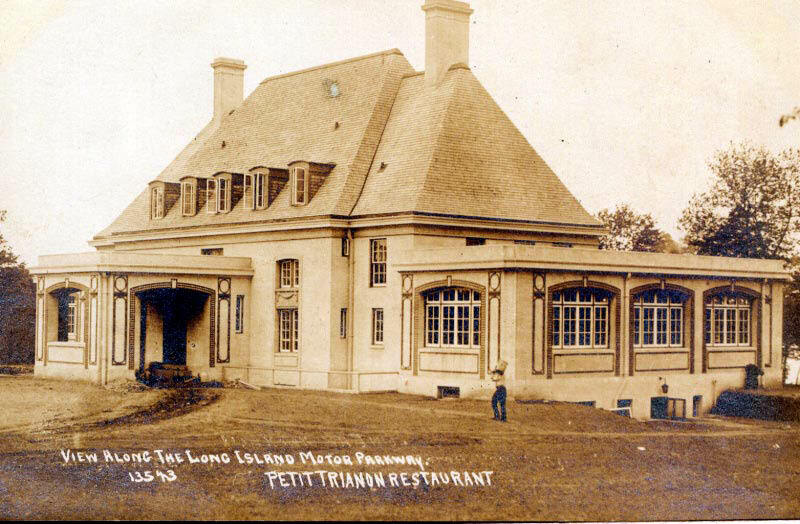 Initial Owner: Long Island Motor Parkway, Inc. Designed by: John Russell Pope, commissioned by William K. Vanderbilt , Jr.
Fabulous looking place….Enjoyed seeing it…Shame it didn’t survive….